among the most tragic consequences of the drug war in South America is the destruction of the Andean jungle. A recent move to use a granular herbicide, called tebuthiuron or "spike", to put an end to coca cultivation has ignited a degree of opposition from environmental groups. us activists point out that tebuthiuron is normally used to clear vegetation from the sides of highways and industrial facilities. The label on Dow Chemical's granular herbicide reads, "Do not apply Spike 20 p near desirable trees or other woody species. Exposure of even a small part of a plant root system may cause severe plant injury or death." Dow spokesman Ted McKinney states: "Tebuthiuron is not labelled for use on any crops in Colombia, and it is our desire that this product not be used for illicit crop eradication. It can be very risky in situations where the territory has slopes, rainfall is significant, desirable plants or trees are nearby, and application is made under less-than-ideal circumstances." In its 1994 Reregistration Eligibility Decision (red) report, the us Environmental Protection Agency confirmed that spike was persistent, mobile resistant to biological and chemical degradation and likely to be transported to ground and surface waters through run-off. According to us newspapers, spike is "so strong that just a few granules sprinkled over a tuft of grass on a driveway in San Francisco killed an oak tree several yards away." Evidence of harm to humans is less forthcoming although the us National Academy of Sciences in its 1993 report , Pesticides in the Diets of Infants and Children , noted: "Little work has been done to investigate the effects of pesticide exposure on neurotoxic, immunotoxic, or endocrine responses in infants and children." Several studies carried out in Germany have found that the family of pesticides, including tebuthiuron, act as "endocrine disrupters" disturbing hormonal messenger systems in humans. In coca-growing areas, where subsistence farmers intermingle food and other cash crops with drug crops, contaminated soil risks further misery and destabilisation. Mauricia Castro, head of the Colombian office of the World Wildlife Fund, calls it "a very large contradiction to say it is safe to use" tebuthiuron in rain forest when it is not used in a similar fashion anywhere else. But Charles Helling of the us department of agriculture's narcotics group disagrees: "The benefits (of spraying coca) are so strong" as to outweigh environmental risks. So far, the aerial fumigation of coca fields in Colombia with glyphosate, responsible for the high rates of eradication since 1995, has been touted as a success by the us . However, the Washington Office on Latin America reports: "...despite the fact that Colombia is the only Andean country engaged in aerial eradication, the us reported a 32 per cent increase in coca production in 1996." Moreover peasant groups and human rights monitoring agencies have reported damaged food crops and medical problems, including eye damage, skin irritation and birth defects, purportedly caused by contact with glyphosate. An estimated 241,000 people participated in marches protesting aerial fumigation in 1996. Moreover, a report commissioned by the United States Agency for International Development (usaid) concluded in 1980: "...as a crop, coca's effects on the environment seem average or even benign, especially in comparison with other crops that are grown in the region." The researchers determined that coca drains fewer nutrients from the soil of the Bolivian Yungas than any other regional crop, and that the bush's hardy root structure helps hold in place the otherwise loose, clay-like topsoil of Peruvian and Bolivian mountain regions. However, when the bush is torn from the ground in eradication campaigns, the soil seems to become resistant to other vegetation, leaving the land bare and vulnerable to heavy seasonal rains. Over 700,000 hectares (ha) of the Andean jungle has been deforested for the cocaine trade over the past 15 years, yet less than a third of that land is currently used to cultivate coca. 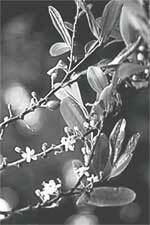 Under normal circumstances, a coca bush will produce harvests for as long as 35 years. Yet, after just a few years, two-thirds of this land was deserted by farmers and denuded by eradication forces. Hundreds of unique plant and animal species are at risk as authorities drive growers and traffickers deeper into the jungle, forcing them from roads and traditionally accessible lands. The poor farming practices of coca growers can likewise be traced to drug war tactics. Coca is grown with no other plants to maximise output and allow for easy harvesting of the leaves, leaving the fragile soil exposed to constant sunshine. Multiple annual harvests on the steep terrain also causes tremendous soil erosion, particularly in the mountain slopes. This is in stark contrast to the experience in the Yungas of Bolivia, a location where coca is grown legally for a small local market and for the famous flavour extract in Coca-Cola. Farmers in the Yungas often plant large leafy plants around coca bushes to protect the soil from the sunlight, plant the bush in deeper pits to allow for the formation of a sturdier root structure, and construct store terraces to allow for harvesting on what amounts to level ground. Tourists visiting the site of the ancient capital of the Inca empire, Peru's Macchu Picchu, learn that these growing practices were the norm hundreds of years ago. They are rare today precisely because most cultivation must remain as concealed as possible. Cultivators work at breakneck speed and are always ready to depart when authorities arrive. The us state department would have environmentalists believe that drug control is worth the costs. However, there is little evidence to source the fact that strategies have been able to decrease drug abuse. Cultivation has increased steadily since 1974 at a rate of 20 per cent per year according to the us General Accounting Office. The street price of cocaine remains stable or drops each year in the us. In fact, when eradication efforts peak, coca cultivators sometime respond by increasing cultivation. The un reports that 50 per cent (25,000 ha) of coca in Colombia was eradicated in 1995 and Colombia reports eradicating 40-47,000 ha in 1996, yet cultivation increased by at lease 10,000 ha each year. According to a study by rand Corporation, a us -based non-profit policy research institute, intensive, long-term, extremely costly eradication efforts could create a short-term decrease in coca availability causing at most a 2 per cent rise in the price of cocaine in the us but that would rebound within two or three years. Because of the enormous gap between coca prices and black market cocaine prices, huge changes in the price of coca affect cocaine prices only by pennies. In addition to eradication programmes that have succeeded only in denuding an estimated 200,000 hectares since 1984, substitution programmes have failed to wean coca growers onto alternative crops. Few substitutes for coca have proven viable in the Andean environment, and those that are viable are seldom profitable. Even at its lowest, coca is by far the most profitable crop. By some estimates, coca yields twice as much as the returns from pineapples and five times those of macadamia nuts in Bolivia. In Colombia, the only crop with returns comparable to those of coca is opium poppy. As a bishop in Guaviare Colombia, Belarmino Corea, said "The people fear that if they stop growing coca, they will die of hunger." There is little hope that current drug war strategies will ever significantly reduce coca cultivation. With at least 80,000 square miles of viable land remaining and extensive economic hardship throughout the Andes, it is unlikely that farmers will stop cultivating coca. The us has renewed eradication efforts in the Andes and the un Drug Control Programme has initiated the scope (Strategy for the Elimination of Coca and Opium Poppy) promising global eradication of illicit drug crop production by 2008. But are we prepared to level the South American rainforest? The time has come to stop chasing farmers, spraying fields and burning bushes. The voices of environmentalists must be heard.